Seventh grade students at Mt. Washington School count zebrafish embryos and larvae during a BioEYES class session. What do you have in common with a fish? Dr. Steven Farber, from the Carnegie Institution for Science, has a good idea: turns out, it goes clear down to the genes. He tells us about his research on heart disease using--of all things--the tiny zebrafish. He’s also created a short beginners’ genetics curriculum based on fish development -- called BioEYES. We also visit Mt. 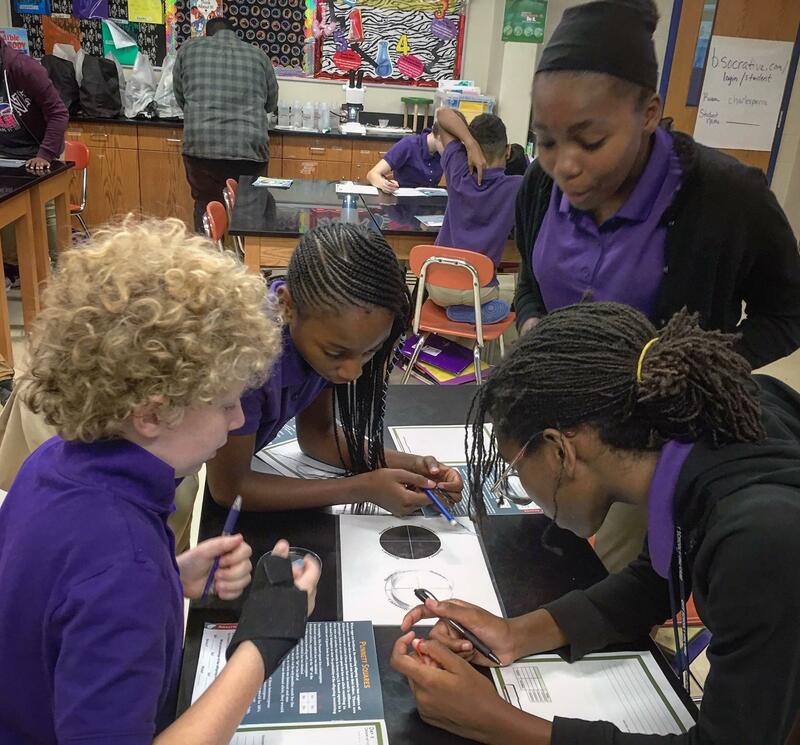 Washington School and meet BioEYES outreach educator Terrone Jasper, and science teacher Leaha Charles Pierre, whose students are experiencing BioEYES for the first time. To learn more about BioEYES visit this link. In four short weeks voters will decide who will lead the state--- incumbent Republican Governor Larry Hogan or Democrat Ben Jealous. We speak with WYPR reporter Rachel Baye and Bradley Herring, an associate professor of health policy at the Bloomberg School, about health issues in the election, including Jealous’ Medicare-for-All proposal and why health-insurance premiums have dropped in Maryland. Truth and Reconciliation for Maryland? Between 1850 and 1950, more than 4,000 black men, women and children were killed in ‘racial terror lynchings’ in the U.S. At least 40 of those lynchings took place on Maryland soil--no one was convicted of these crimes. We ask Professor Nicholas Creary, of Bowie State University, who has researched the Maryland lynchings -- who was killed, how and why. We also meet filmmaker Will Schwarz, president of ‘The Maryland Lynching Memorial Project,’ a non-profit hosting a conference this weekend with hopes to honor lives lost, and reconcile Maryland’s dark history. A new exhibit called “Repurposed with Purpose” at the Maryland Art Place features local artists who either use everyday items in unexpected ways, or turn traditional forms upside down with unusual materials. Doreen Bolger, former head of the Baltimore Museum of Art, curated the exhibit. She describes how she selected works and the materials on display. The exhibit is on display through November 10th.